Mice in your Attic or Home? Learn How to Get Rid of Them! Most people think only creatures such as squirrels, or bats, pose a serious risk to homeowners when they invade and attic space. Enter the underdog: The mouse. A lot of us do not realize just how damaging these pests really are to our homes. Not only do they make a mess with their droppings but they also tear out books, papers, plastic, wood and pretty much anything they can get their hands on (or their teeth). And, what a lot of us do not know is that they also chew out wires and other important things, these little damages can cause quite a lot of expenses and give us trouble financially speaking. Not fun at all! So, what else is there to know about these little monsters? Mice are generally seen as cute creatures, however, finding rats in your attic, can be a serious problem for home owners. Where there is one mouse, there is usually more, and within a short amount of time, a few mice can turn into a full-blown mice infestation. 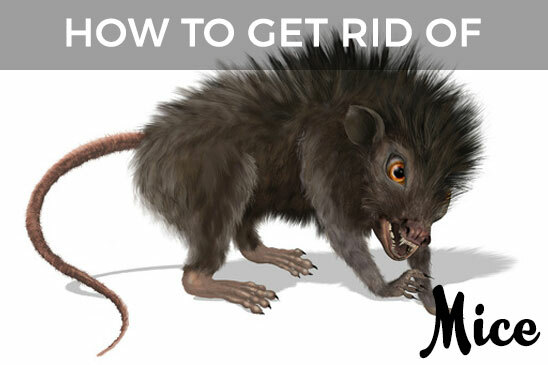 The following guide is designed to educate homeowners about an all too common pest found within attics across the US: the house rats. In order to get rid of mice effectively, its important to know how they get in, what risks they pose, and the best ways to trap, remove, exclude and repel them for good. ​Most Common Mice Species Found In Attics & Home's Across The U.S.
Mice In The Attic - How Do They Get In? Should I Attempt To Trap And Get Rid of Mice Myself? Mice are small, remarkably adaptive rodents common to both the wild and the laboratory. Historically, rats have followed human activity since humans began storing grain and crops to get through long winters. These granaries provided a stable food source out of the elements. In present day, most humans don’t have personal granaries. But they do have homes, and those homes have warm attics and nooks that provide the safe, hospitable environment mice are attracted to. The most common mouse in urban areas is the ‘house mouse’. These rats are about five inches long from nose to tail and are covered with brown, white, or grey fur. This species have been selectively bred as fancy rats, which are sold in pet stores. However, the wild house mouse is not a pet and can infiltrate homes with ease. In the wild, mice build burrows complete with long tunnels and escape routes in case a predator finds access. In homes, the create nests out of soft materials, like tissues, attic insulation and cardboard. 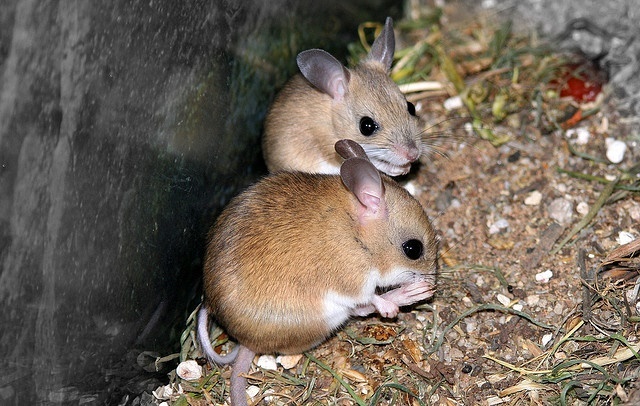 Each mouse becomes fertile at about 50 days old and is able to breed all year round. Gestation takes 20 days, and each litter can contain 10 to 12 mice. Because of this ability to breed so quickly, one pregnant mouse in your attic can quickly turn into a full-blown infestation. Noise - First, listen for any scratching or chewing in the walls or ceiling, especially at night, when rats are most active. 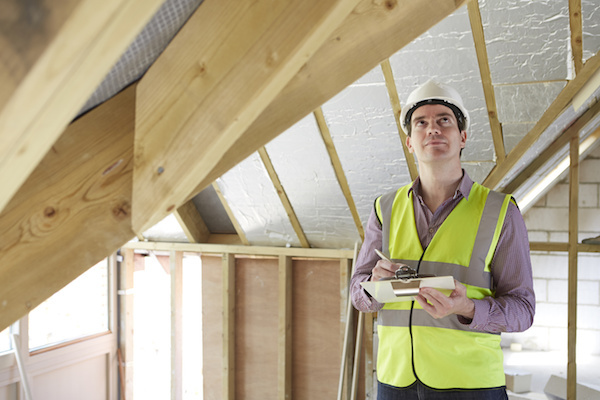 Get as close to you attic as possible and listen out for noises, or take a seat in your attic and wait a few minutes. It’s also a good idea to listen for rats noise between partition walls, under floorboards, in false ceilings and in basements. Physical Evidence - Homeowners might wake up to find chewed up food packaging. Dog or cat food is also a favorite target as the bags are usually left open on the floor. Grease Marks - brown grease marks are usually left by mice when they brush their bodies against an object on one of their regular route. Look out for dark smears around holes and corners. Footprints - your attic will normally be fairly dusty, so grab a torch and have a closer look for track marks. A great idea is to sprinkle some talcum powder and wait to observe fresh tracks. If you have checked your attic, but are still hearing scratching noises, the mice may have found a different area in which to nest. The area behind the wall is a similar environment to an attic, but is much more difficult for humans to get to. Mice may also inhabit the garage, which is out of the elements and usually contains good nesting materials and access to food and water. Most commonly mice will seek refuge in cupboards, wall cavities (mice in the walls), and deserted areas, such as the sub-floor, or the attic. While pet mice have been carefully bred, wild mice can carry more than 30 diseases, so it is important to remove these pests before they spread. There are several risks that occur when mice are nesting in your home. Besides disease, the tiny mouse can cause big damage. Since their teeth continually grow, mice need to continually chew to wear them down. In the wild, they would use bark, sticks or animal bones, but in your home, they will chew on whatever is available, including wood furniture, drywall, electrical wiring and even your food! They will also widen the holes they use to get in and out of the house, which can leave your home open to other pest encroachments. Remember, rats are primarily nocturnal creatures, so many homeowners may not realize they have rats until they have an electrical issue or find evidence of mouse activity. Mice dislike direct light, so dark spaces in your attic or garage provide the ideal nesting location. 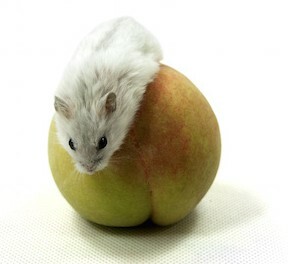 Naturally being smaller creatures than their rat cousins, Mice need a hole only ¼ of an inch to gain entry to your home. This leaves plenty of opportunity for entry, so once mice have been dealt with, you must ensure all possible entry points have been sealed. This means that any hole the size of a dime or larger can be a direct path for a mouse to enter your home. Mice are also good climbers, so they have the ability to get into your attic internally (through wall cavities) or externally (via the brick outside your home). Once they reach your roof-line, all they have to do it find a tiny hole or cavity to gain entry, so once again, sealing all entry points is vital. Foundations/pillars of your home - are there any cracks/holes? Gaps in windows or ceilings - are there any obvious gaps present? Can finish timbers be installed to close these gaps? Drainage pipes - have all drainage pipe connections been properly sealed? Gaps around the roof-line - are there any obvious gaps where timbers have shrunk? If you're looking for information on how to get rid of mice in the attic, there are two effective methods: mouse traps, and professional mice removal. The least expensive way to remove rats is to set mouse traps by the evidence of activity. Mousetraps cost about one dollar each, for the most basic forms, and you will need to use them in combination with an effective bait. The best bait for mice when using snap traps is NOT cheese, as the cliché goes. Traps should be baited with one of the following 3: peanut butter, dental floss or cotton batting. Snap traps are sometimes ineffective because homeowners do not set them correctly. Traps can also present a danger to pets and children, as it takes very little disturbance to trigger them. If the traps are successful, dispose of the culprits using a pair of gloves and a sack to avoid getting germs. Be sure to replace the traps until you are no longer finding fresh evidence of mouse activity. 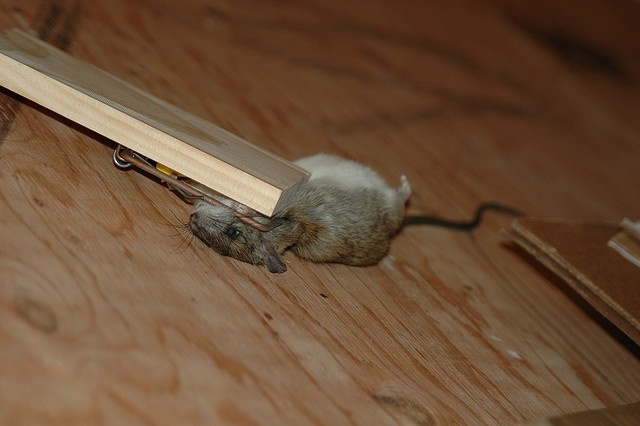 Leaving dead rats in traps is a health hazard, and it will discourage other mice from investigating the traps. Check out the different types of mouse traps below, however if you’re in a hurry to get a few set up, read this quick article about the best mouse traps for catching mouse. Glue traps are less humane than snap traps, as they simply immobilize the mouse until it dies either from starvation, hypothermia or stress. The only real advantage of these traps is that the clean-up process is less messy. Zap traps use food to lure the mice in, and then kill the mouse with a lethal dose of electricity. While these are effective, they are also much more expensive than snap traps. Live-catch traps do not kill mice, but rather trap them as they run along their pathways. The homeowner then releases the mice into the wild. If using live traps, it’s very important to seal all entry holes after removal. Poison traps are discouraged because you cannot control where the mouse goes to die. If it dies in an inaccessible place, you as the homeowner must wait out the terrible smell as it decays. There is no guarantee that every mouse in your home will “take the bait” (unless you use a great mouse bait). Mouse activity might decrease for a time, but increase as another litter is raised. Unless the house is sealed properly, no trap will keep mice from returning. The best way to get rid of mice, and keep them out, is to use a professional service (see below) If you’re determined to use traps, the best way to kill mice is using snap traps. 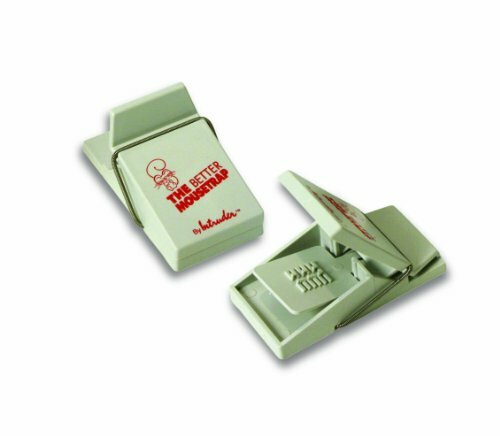 Wondering what type of mouse trap you should use? You already know that snap traps work the best (after professional removal) however there are hundreds of choices when it comes to snap traps that you definitely do not want to miss out on. We have reviewed a ton of different top-rated products that led us to conclude that these ones are the best one out of them all. Also, we have considered all the customer and personal reviews of real people in our ratings of these products. 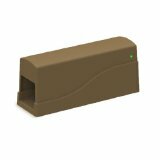 So, rest-assured that you will only be getting a top-of-the-line snap trap for getting rid of those pesky little rodents in your home. ‘The Better Moustrap’ is the Original easy set trap. This is a favourite on amazon because of it’s super simple design and ease of use: Pinch to set, squeeze to eject, rinse and reuse– it’s that simple! Easy to use, comes with 6 traps, cheap, and requires no cleaning – a clear winner in terms of snap traps. Using a professional is the only way to guarantee effective mice removal from your attic - they will ensure traps are placed at optimal locations and are set correctly. Professional pest control companies are also able to locate mice and their nests to ensure removal after one attempt. Professional companies will also have access to extra-strength bait traps and will monitor them until the mouse presence is removed from your home completely. 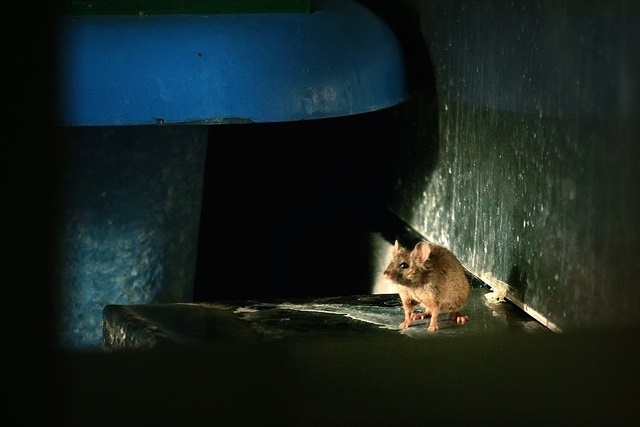 If you have a larger mice infestation, or a large house with lots of nooks and crannies, buying and setting all of your own traps could prove to be an expensive, and time-consuming (not to mention frustrating) process. Professionals will have all the traps and baits ready to go, and will know exactly how to set them. The best part about using a professional is the convenience. You won’t be responsible for purchasing traps, checking them night after night and disposing of them. And a professional company will take care of the cleanup needed. With a larger infestation, the dropping count can be significant. Owners steps up game and purchases better quality mouse traps and poisons. Again, mice are caught and killed, but more mice keep seeming to appear. Frustration sets in, professionals are called, and within days, the problem is solved - for good. Using a pest removal professional will save you money, time and headaches in 9 out of 10 times. Once mice in your attic begin to breed (which is guaranteed to happen), it becomes a challenging task to solve for the DIY exterminator. The traps mentioned above are all made to be used by homeowners without professional consultation. While they can be somewhat effective, a trained professional will be better able to ensure that every part of your house is mouse free. A professional also has the equipment necessary to trap the mice, seal your home and remove evidence of their infestation, so you won’t be required to hunt down supplies to protect your home. There are also several sprays on the market, both chemical and natural, that claim to be able to repel mice. However, these must be continually reapplied to keep the areas mice free. The best method is prevention – By sealing up holes in the roof-line, foundation and around pipes, homeowners can prevent a whole host of pests. The best way to do this is to consult a professional, who will spend the time exploring every corner of your home for weak points and crevices that pests could exploit to gain entry. Smaller holes should be sealed with caulking or expanding foam – Cracks in the foundation will need to be repaired with concrete. Steel mesh should be used instead of plastic around large openings since a mouse’s strong teeth can actually chew through plastic over time. After removing the mice and sealing off your home, a pest control company will complete the extensive cleanup a mouse infestation required. Replacing insulation may be required – Because of their preference for the attic, mice will have soiled much of the insulation with urine or feces. This insulation must be replaced and not covered as mice feces harbor a large amount of bacteria. Any boards that have been chewed should be either replaced or sanitized. Inside the house, be sure to put away food and clean off dirty dishes promptly. Carefully wrap up scraps before placing them in the trash so mice and other pests are not tempted into your garage by trash. Finally, adding outdoor and attic lights can repel mice because the light makes them feel exposed and unsafe. Your home should be a safe and sanitary place for you and your family, and mice and all pests can be a stressful threat to that safety. If your home has been invaded, consult a professional and get the job done right the first time.